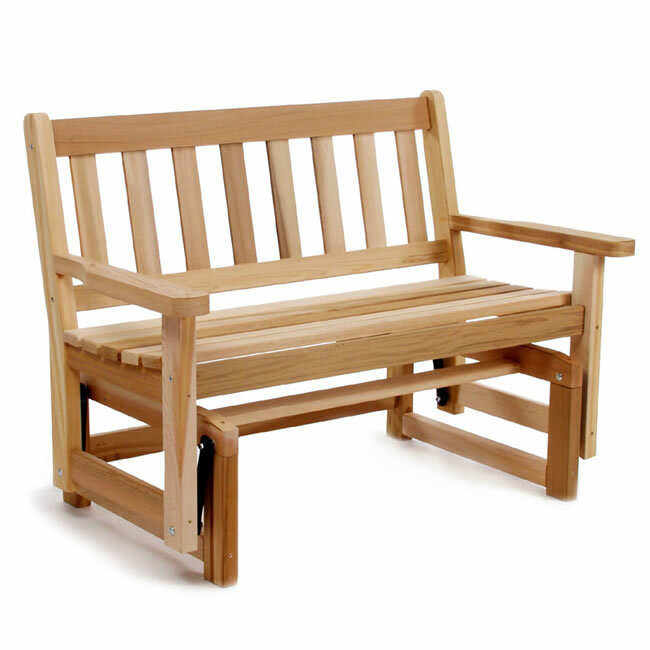 Experience the smooth, rhythmic motion of our Cedar Glider. Snug fitting construction for years of durable use. Shaker style back slats with a gently sloped seat. Smooth ball bearing glides. I purchased this bench 6 years ago and I still love it! It has sat outside in the So Cal climate and it has endured the elements excellently. Finally I got around to putting 3 coats of urethane on it to extend its life. Its looks wonderful.